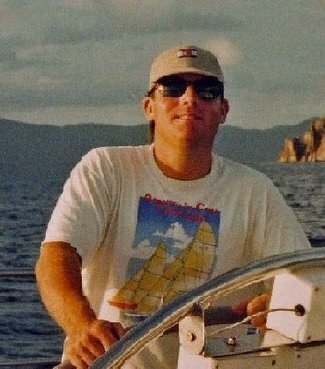 WDM, Not sure whether you saw my comment on your blog entitled "Nicely Making WaY concerning little (19 ft) round the world sailboat called Peter Pan. Cute kid. 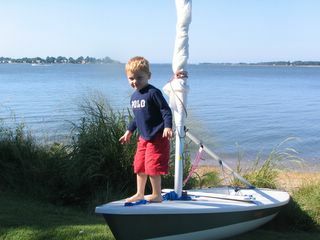 When my son was about that age I used to take him out on my Laser with him sitting one leg either side of the mast facing astern. In fact I've given as many as 3 little kids a ride like that at the same time.